Eric began his forty years of musical studies and performance on both piano and guitar at the age of 7 and has been a full time professional working musician since 1980. 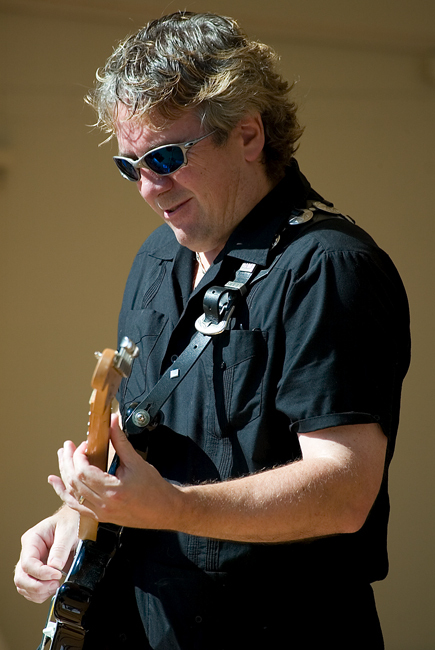 He has performed extensively as a lead vocalist, lead guitarist and keyboardist, playing all contemporary musical styles including jazz, blues, rock, country and pop. Career highlights include composing and arranging five Act Naturally Children's Musical Theatre Productions, and spending seven years as Musical Director, Band Leader and performer for Norwegian Cruise Lines. Eric is currently bandleader, lead guitarist, co-composer, and arranger for original recording artist and wife, Elly Paris. He spends much of his time teaching his Musicians 2000 music education programs, which began development in 1990.